Normisur International is a global consulting firm specializing in corporate social responsibility, work force development and executive coaching. Founded in 1997 by its president, Celina Pagani-Tousignant, Normisur International has an extensive client base in the United States, Canada, Latin America and Asia, giving it the ability to develop partnerships and earning it a reputation as one of the most highly recognized consulting firms in the area. Its consulting, training and executive coaching services use an integrated, personalized method that allows for focusing on goals and maximizing positive results. Celina Pagani-Tousignant, born in Uruguay, has a master's degree in clinical psychology and more than 20 years of experience in multinational firms, as well as 17 years of experience as president of Normisur International, acting as consultant, trainer and executive coach. In the 80s and 90s she created numerous programs focusing on workforce development and corporate social responsibility in companies such as Levi Strauss and PG&E. More recently, she received a certification in Life Coaching from the John F. Kennedy University and a certificate in Integral Coaching from New Ventures West, a coaching school in San Francisco, California. 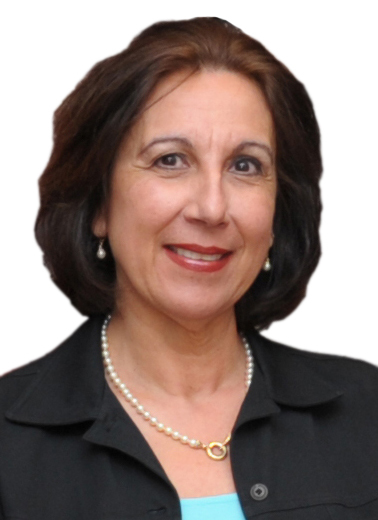 She has worked with executives from Thailand, Vietnam, Malaysia, South Africa, Canada, the United States, Palestine, England, Belgium, Slovenia, Mongolia and many Latin American countries, helping them in such areas as implementing corporate social responsibility initiatives, managing organizational change, integrating multicultural teams and developing leadership skills. As an instructor, Celina has occupied various university posts in the United States and other countries, such as at the John F. Kennedy University, the Pontificia Universidad Católica de Valparaíso, the Boston College Center for Work & Family, the Boston College Center for Corporate Citizenship, the Boston College Sloan Center for Aging & Work, the Center for Corporate Citizenship Germany, World at Work and the Technológico de Monterrey. Wright Institute. In December 2011, Celina became a member of the Board of Trustees, at the Wright Institute, an accredited university located in Berkeley, California, that educates clinicians to society through various masters and doctorate training programs in Psychology. Celina has made available her expertise in strategic planning to the Executive Director during the strategic planning process that was developed for the period 2014-2018. In addition, she has worked with the Chair and the members of the Diversity Committee to help them refocus their goals and overcome obstacles within the organization.